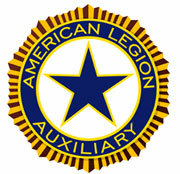 American Legion Auxiliary Department of Maryland, Inc is a part of the world largest women's patriotic service organization. Our dedicated mission and purpose - impact our veterans, active duty military, their families and the communities in which we serve. Being a part of the community is important. It provides the community with a sense of stability, purpose, and understanding. We invite you to join us in our mission and help in building a better community.